The 2018 Melbourne International Comedy Festival Roadshow has kicked off around the country! For three months some of the best national and international comedians will travel the countryside bringing the LOLs to regional Australia. 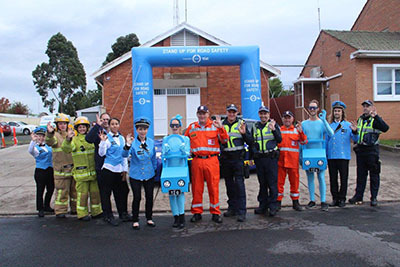 This year, we partnered up with the Transport Accident Commision (TAC) for the Victorian tour, to help raise awareness around road safety issues in regional Victoria. Sadly, people on country roads are being killed at almost four times the rate of people using city roads. 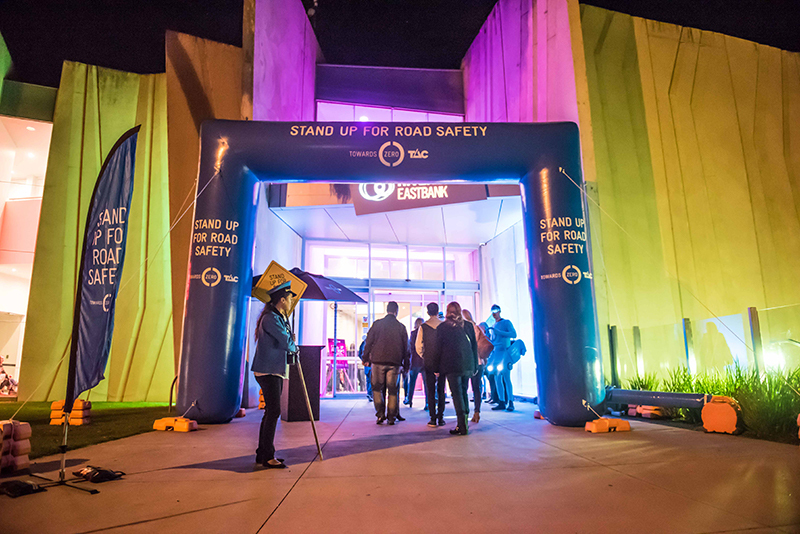 Road safety is a shared responsibility, and it’s up to all Victorians to Stand Up for Road Safety, because no one deserves to die on our roads. 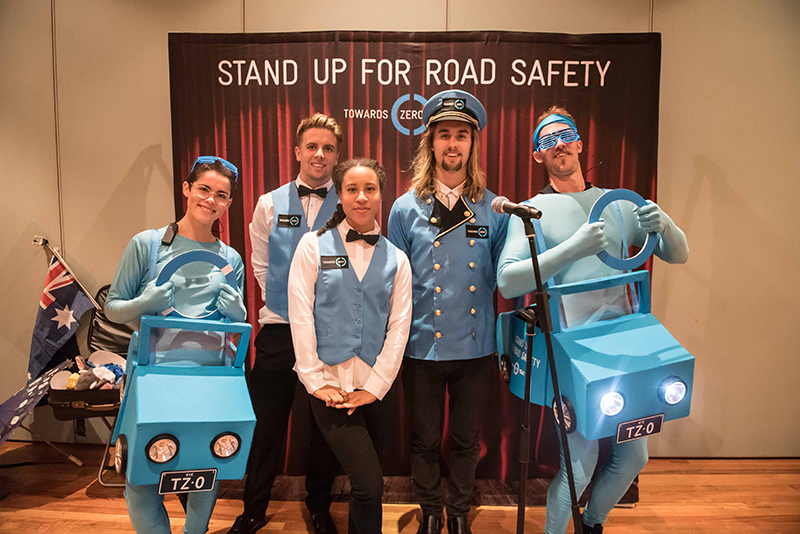 The TAC crew will travel to comedy shows across regional Victoria, talking to locals about how they can help Victoria reach the goal of zero deaths and serious injuries on our roads. 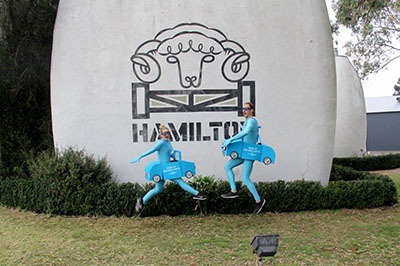 If you’re heading to a show, the team will be there armed with handy merchandise like car chargers, chamois car cleaners and hand-warmers for those chilly winter mornings. Free breath testing will be offered after the shows, so you can check you’re right to drive before heading home. To capture the memory of a night filled with LOLs, a free photobooth will be spitting out polaroids for you to take home. Head over to the Roadshow page to see when we'll be in your neck of the woods! 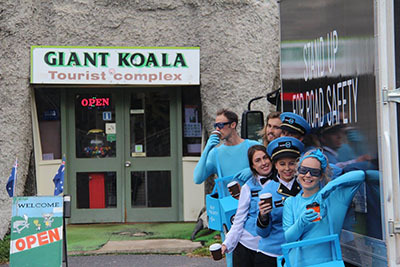 The Melbourne International Comedy Festival Roadshow tours across Victoria with TAC until Sat 7 July 2018. Road safety is no joke, but you can still have fun playing it safe.